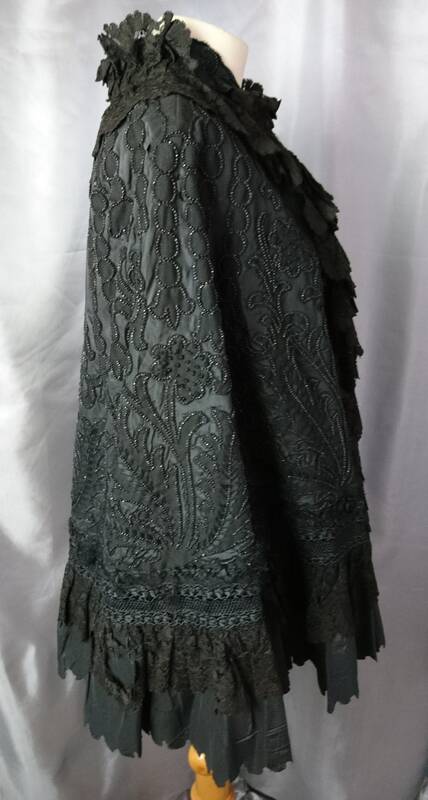 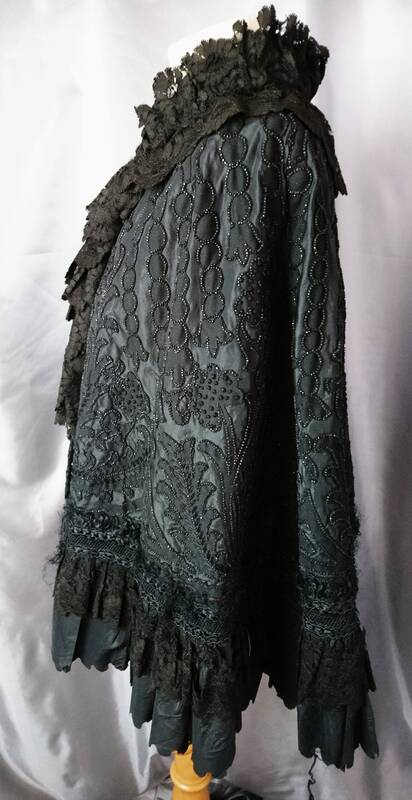 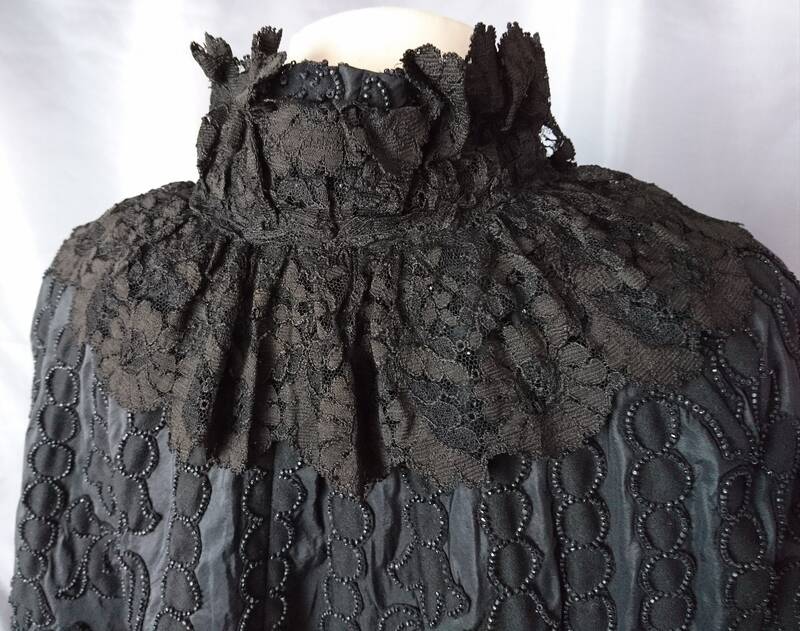 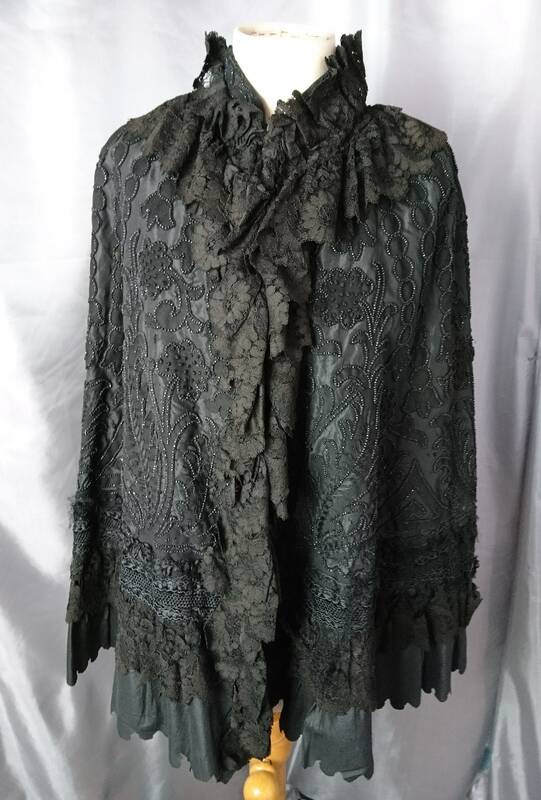 This Victorian mourning Cape is an absolute work of art and clearly a labor of love. 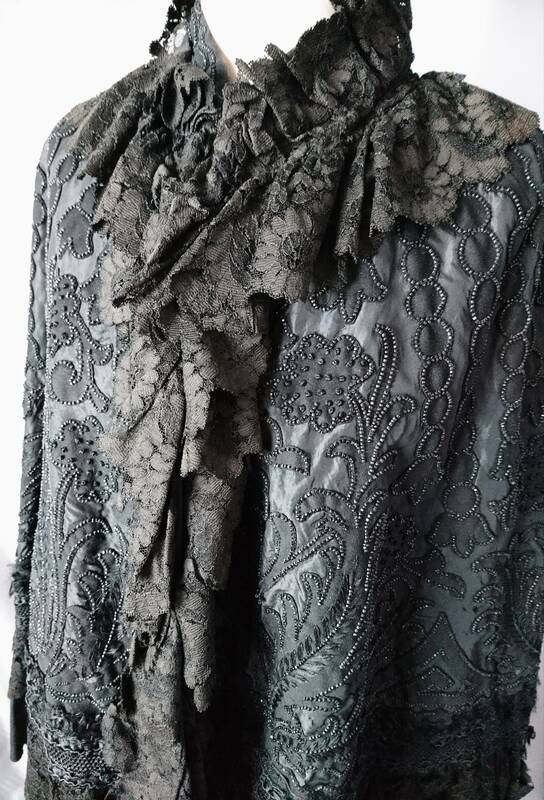 It fastens with hook and eye fasteners at the neck and across the chest. 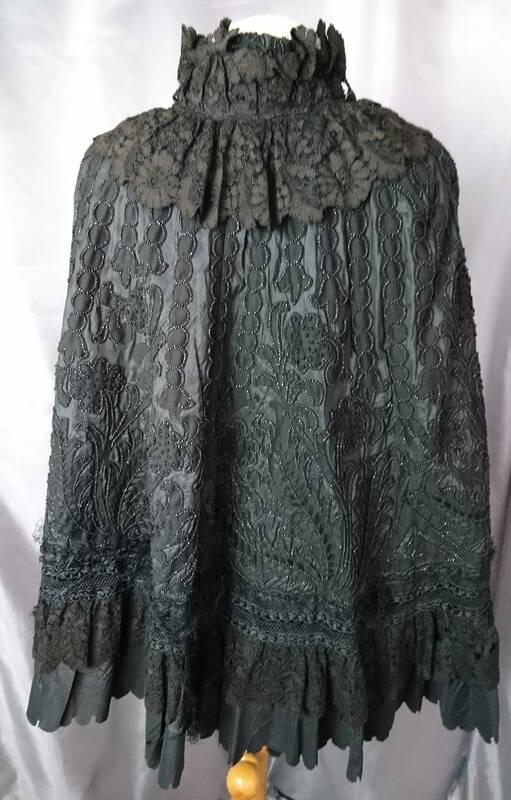 It has a large lace ruffle collar, which falls down through the front of the cape to edge the fastening sides. 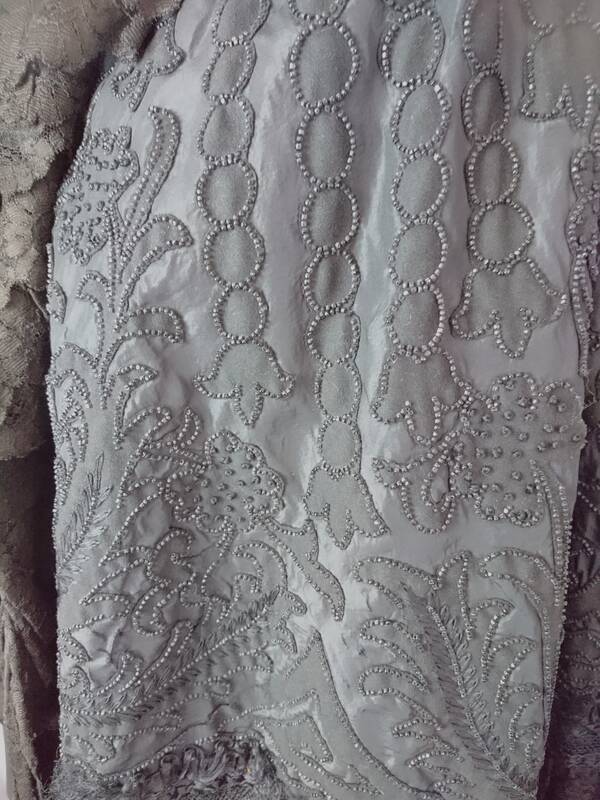 The main outer of the cape is very heavily embellished with a beautiful hand beaded design of flora, all made up from tiny jet beads. 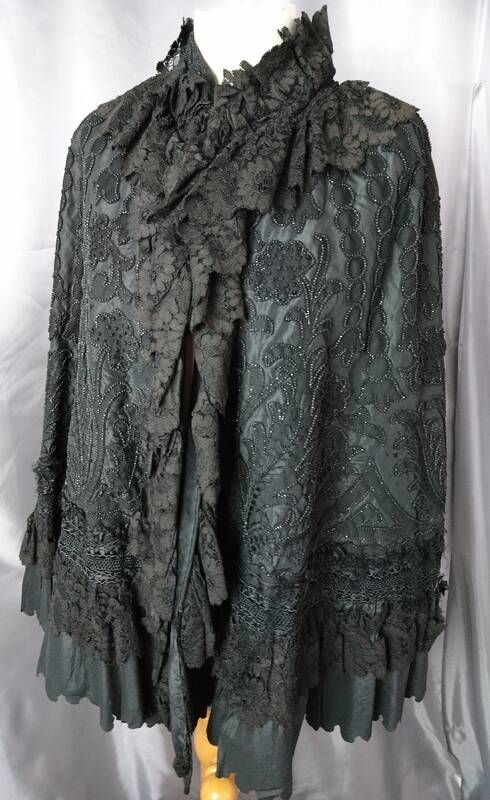 The cape is in good antique condition, there are some loose threads at the hem and the lower part and a couple of small tears in the lace but commensurate with age. 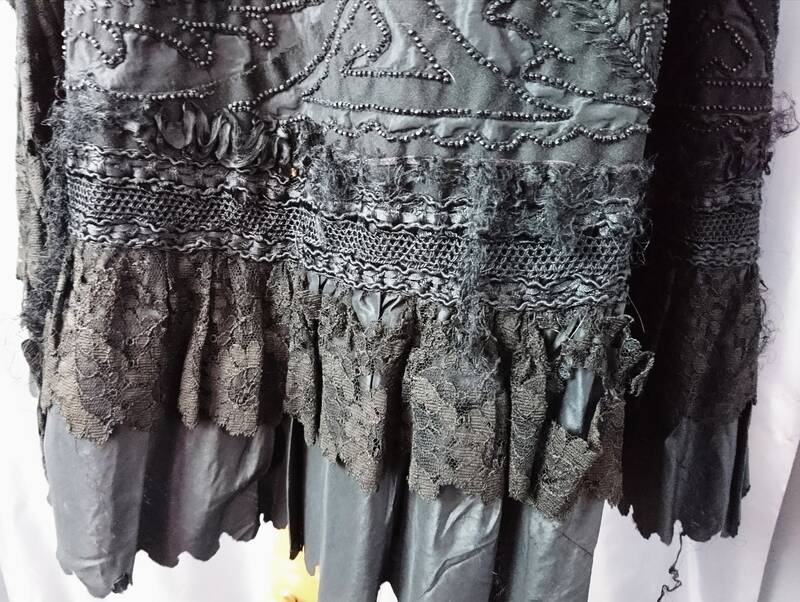 It is very old and will require very specialist cleaning, it has not been cleaned by us. 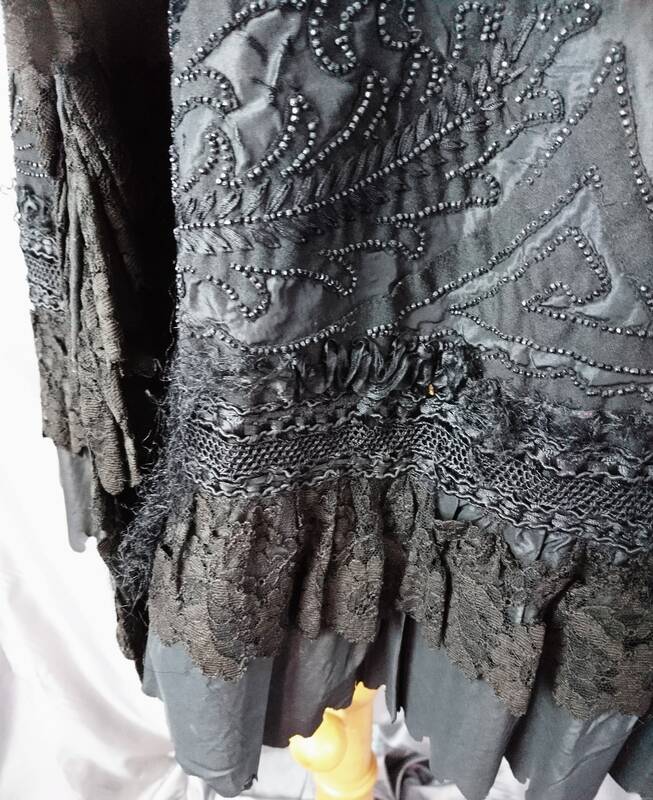 If you like mourning pieces then take a look at our shop where you can find a wide range of items to add to your collection.